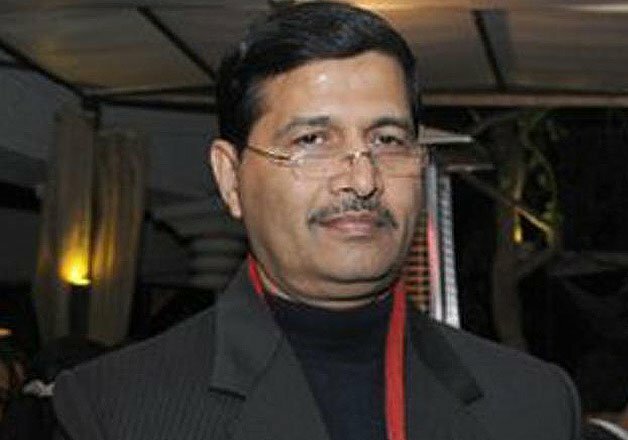 Ashwani Lohani - a well known Tourism Professional who provided new identity Nationally and Internationally to the Madhya Pradesh Tourism. and turned the MPTDC into profit making unit appointed as the sick Air India's CMD. FIF chairman Dr. Anoop Swarup while congratulating him for the coveted position and confidence shown by the tourism Ministry in Sh. Lohani. Mr. Shiv Harsh Suhalka, secretary General and Editor in chief, MetroMirror.com wished Mr. Lohani a very fruitful tenure at Air India. 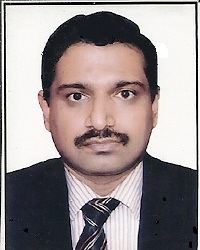 Mr. Suhalka said that Mr. Ashwani Lohani is a person with Right skills, Right Attitude, and Right integrity. He is known as the turnaround man with caliber & confidence who is always ready to take up new challenges. The appointment committee of the union cabinet gave the approval for a tenure of three years, or until further orders, whichever is earlier, sources told" Lohani is a perfect choice for the airline in view of his long experience with public sector undertaking and operational experience as Divisional Railway Manager in Delhi," the source added. An Indian Railway Service officer of 1980 batch , Lohani's experience of running PSUs dates back to 2002, when he was the CMD of Indian Tourism Development Corporation, where he was credited for turning around Ashoka Hotel in Delhi by turning it profitable after years of losses. A qualified mechanical engineer, Lohani is a fellow of the Chartered Institute of Logistics and transport. Current Air India CMD Rohit Nandan's one-year extension ends on Thursday. Sh. K.G. Suresh a true veteran Journalist, commentator and Media Educator has been appointed as Doordarshan's Senior Consulting Editor. BHUBANESHWAR: Bakul Desai, a Hyderabad-based businessman, has a story on Manohar Parrikar's sense of fairness. In the late 1970s, as students at IIT Powai they were forced to travel ticketless as they could not wake up the man behind the ticket counter at 4 am. At Dadar, a ticket examiner fined Parrikar Rs 10 plus an additional 40 paise for the fare. A furious Parrikar travelled ticketless for the next semester, as he thought it was unfair. "One day he found his free trips had cost the government Rs 11.20 paise. So he bought stamps from a post office and tore them up. Now, the Government of India and I are a square,' he said." Parrikar's friend believes his integrity is the reason why Prime Minister Narendra Modi picked him. What he will also bring to the job is a geeky passion for finance and engineering and a deep sense of nationalism. 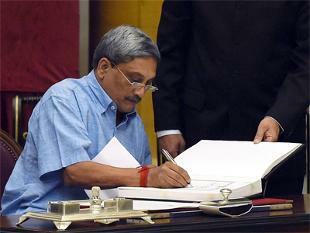 An admitted workaholic, Parrikar insists on leading a simple life. The 58-year-old widower, who recently turned grandfather, lives with the elder of his two sons in a two-bedroom apartment that he is still paying installments for. Parrikar, whose father owned a grocery shop, is a metallurgist by training and runs a smallscale hydraulic engineering unit employing about 15 people. There are many accounts of his spartan style — security personnel seeing him arriving at the airport in a rickshaw, carrying his own luggage, wearing crumpled bush shirts and chappals in North Block...None of this is for effect. "Parrikar had succeeded in creating an inclusive model for BJP in Goa. The RSS instilled discipline and an idea of patriotism, where India came before even Indians, and where one's being a Christian, or a Muslim, or a Hindu must not come in the way," said independent Goa MLA Vijay Sardesai who has known him nearly four decades. In an interview to ET last year, Parrikar had compared Delhi to Caesar's Rome, where one was always expected to watch one's back.That may explain his reluctance to move out of Goa.